In general terms, So the creation of Swap file is better to keep the services up. Before proceeding further make sure that system already has swap enabled. If there are no swap, you will get output header only. Now we will create a file to use for swap in system. Before making file make sure you have enough free space on disk. Normally, it is recommends that swap size should be equal to double of installed physical memory. We have 2GB memory in my system. So will create swap of 4GB in size. Now we make it usable file using mkswap command. Now setup the swap for system using swapon command. Add the following entry in /etc/fstab file to enable swap on system reboot. Now time to change the swappiness kernel parameter as per your requirement. It will tell the system how often system utilize this swap area. Edit /etc/sysctl.conf file and add following configuration in file. 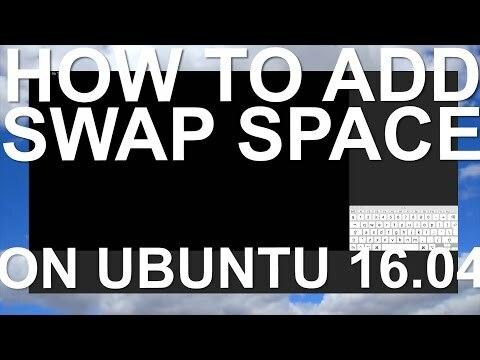 Now, you have successfully enabled swap on your Ubuntu system.